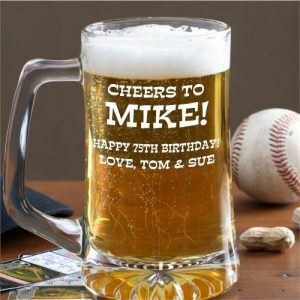 So your dad, grandpa, uncle or friend is turning 75 and you need to come up with a theme for the party. Don’t have a clue what kind of party to hold? Then you might want to try one of these easy 75th birthday party ideas for men. Of course, you should hold a beer tasting only if the birthday celebrant loves to drink beer. The point of throwing a beer tasting party is to be able to taste unique beers, preferably from different parts of the world. Think rare imported beers and craft beers , those brewed by independent microbreweries. Leave the staple beers to your regular drinking nights. You can turn it into a potluck party where everyone invited is required to bring a rare brew. If you go this route, you might want to assign everyone a category, such as lager, ale, stout, etc.) to avoid having everyone bring the same type of brew. This article has some great tips on how to host a beer tasting bash. What’s a birthday without food? Get food that goes well with beer such as sausages, pretzels, nuts, chips, etc. Passion for Parties has great food ideas, as well as easy decorating tips. Keep in mind though that the objective of a beer tasting party is to try different kinds of beer and not to get drunk. After all, the old man may not be able to handle anymore hangovers. You may not be able to bring everyone to Las Vegas for a birthday celebration but you can definitely bring the Vegas experience to them by holding a casino themed party. Or maybe what you can do is ask everyone to bring something that can serve as a prize and they get the number of chips that correspond to the value of the stuff they brought. Make sure to award the guests who has the most number of chips at the end of the party. And because it is supposed to be casino night, the guests’ attire should match the theme. They should all be looking dapper and elegant. Need a little more inspiration? 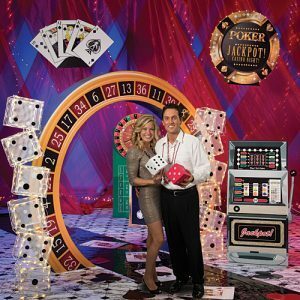 Check out this over-the-top Las Vegas themed casino party and these easy party ideas from Sandra Lee’s Semi-Homemade blog. If the celebrant is into golf, then you can host a golf-themed birthday party. This would be a nice excuse to hold the party in the front yard, in the early afternoon. So what do you need to hold a memorable golfing party? An actual game of golf of course! You actually have several options here. Host the party at the guest of honor’s favorite golf course, go to a mini golf place, or rent a portable mini golf course from a party organizer and they would take care of the set up and the dismantling for you. This article describes several fun golfing-related games you could offer if you’d like. This is also a theme that does well with a picnic. Ask guests to come in their best golfing attire and have servers dress up like caddies. Prepare a prize for the big winner of the day. Having a fake golf tournament cup would be a nice touch. Looking for a little more inspiration? 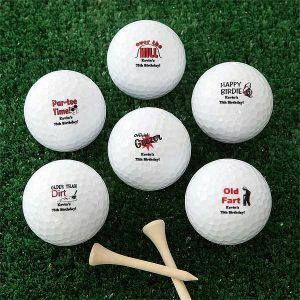 Check out the golfing party ideas on this Pinterest board. If you just want something simple and you just want everyone to have a grand time, then you can never go wrong with holding a BBQ. But of course, you have to make it a special BBQ. After all, you are celebrating someone’s 75th birthday. This is the time that you should go all out. Instead of one, you should set up several grilling stations where guests can feast on different kinds of BBQ treats. If you don’t want to do the grilling yourself then you can have the party catered. If you’re planning to invite more guests than what your backyard can handle, then you can hold the party in nearby park. The best thing about BBQs is that it is something that everyone can enjoy, regardless of gender and age. Just make sure that the food and the drinks are continuously flowing. If you’re looking for easy decorating ideas, check out this slideshow from Country Living. This is another birthday theme that has the potential to be super fun. You can throw a tailgating party regardless of whether his favorite team is actually playing anytime soon. Just pitch the tailgating tent, add a few team decorations and party supplies. The important part is the food…and you can always count on Food Network’s recipes. If you can, get one or several of those large Gatorade containers to hold the drinks for the day. Try to get one that’s decorated with the team logo. Prepare a video of the team’s best moments and play it on loop so guests can cheer endlessly until the party is over. 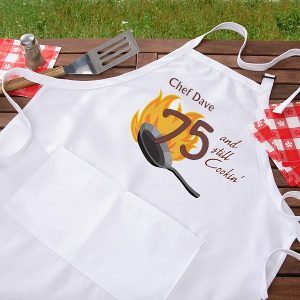 Decorate cookies or a birthday cake as a team jersey, with “75” being the number. 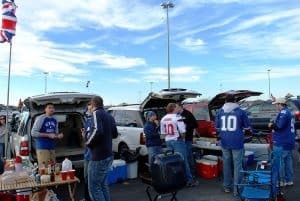 This article about a surprise birthday tailgating party has some fun ideas that you might want to use.